This private guided tour is designed to be an immersion into the soul and the senses. It is meant to be a restorative, travel and culinary experience, which will allow you to nurture yourself by slowing down and by experiencing the world around you. This get-away is as much about your wellbeing as it is about travel. The intention to enrich you through the exploration of a new culture and new food, to recharge you as you step away from hectic daily life and escape to an enchanting location and to indulge you and your five senses through the sites, sounds, smells and tastes of Provence. I first fell in love with Provence years ago while on a trip to France with my husband. I remember my first impressions, which captured my heart then and still do today… plane tree lined roads, weathered shutters, the sun-drenched cuisine, wild poppies blanketing fields in shades of crimson, outdoor markets, vibrant smiling sunflowers, historic villages and of course the soothing elixir of the fragrant fields of lavender. I have come to learn however that Provence is all of this but so much more; there is a peaceful aura here, a calming energy, simplicity of life and a therapeutic way of being. 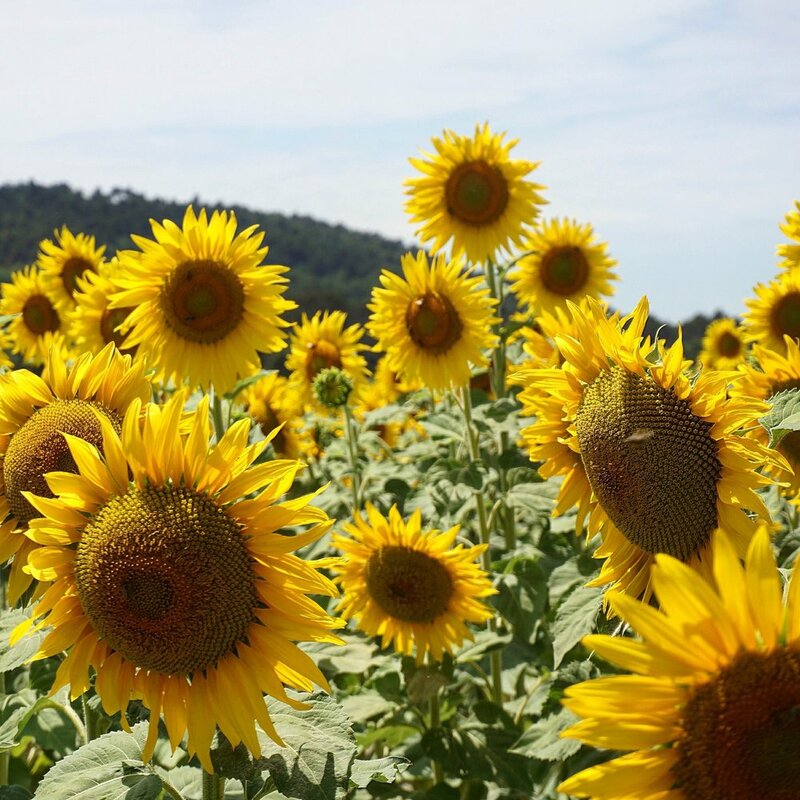 Join me to experience Provence guided by the eyes of a local. It is my hope that you will walk away feeling more culturally enriched with the postcards of Provence forever embedded in your memory and more personally fulfilled after a week enveloped in the restorative environment of that which is Provence. Your days will be filled with all things Provence…. Held in an intimate villa in the Luberon area of France, this is a five-day journey to escape to Provence… to explore the magic and flavors of this region while fulfilling your thirst for exploration. Set amid rolling meadows you will feel worlds away where you can relax, calm your mind and nourish yourself in the tranquil energy of Provence. 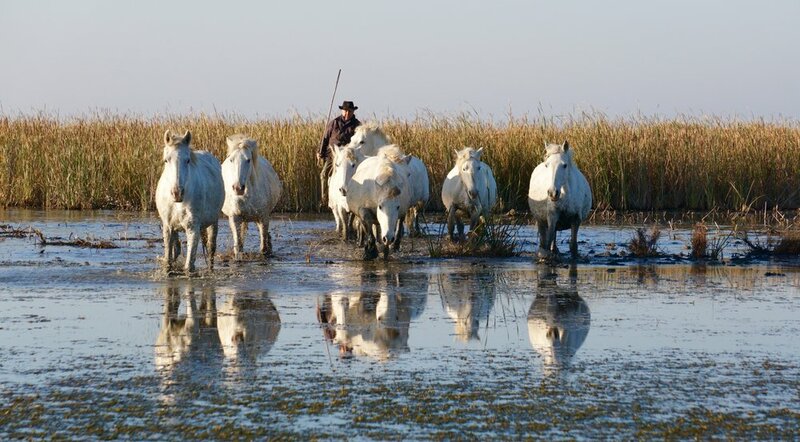 You will be fully immersed in the beauty of life here… the slow rhythm, the nature, the history, the food and the culture. 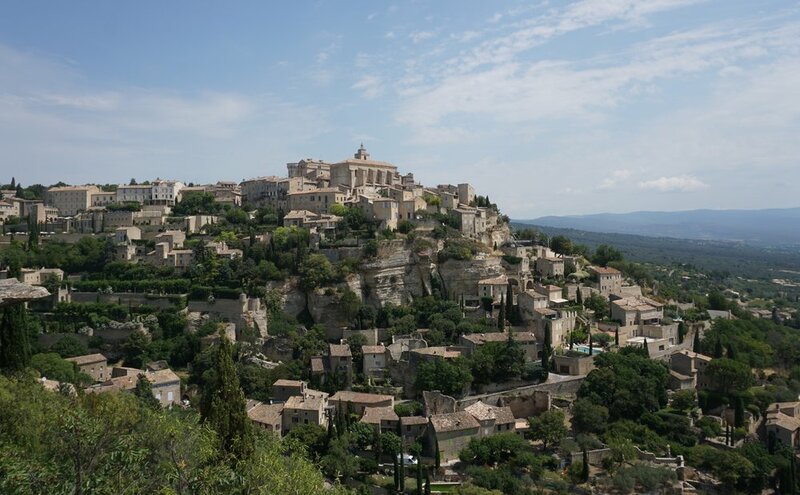 Our days will be filled with all things Provence... We have planned excursions to the neighboring villages of Lourmarin, Lacoste and Gordes (additional villages time permitting), where we will wander ancient cobblestoned streets, enjoy local boutiques and galleries. We will visit a local Potter’s atelier and discover the bounty of Provence by shopping at a local market. 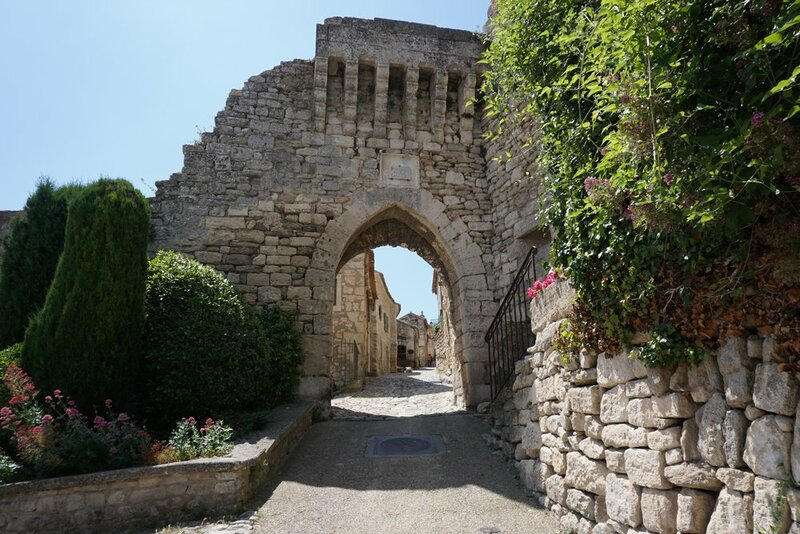 We will walk in the footsteps of “A Good Year”, visiting the villages, the plaza and the vineyard of the famed movie filmed here in the Luberon. We will taste regional wines at local vineyards and will savor authentic Provençal cuisine cooked specially by our own private local chef who will create homemade meals prepared with local produce and brimming with Provencal flavors and sunshine. Days will end with an aperitif and dinner at the villa, with the evenings spent luxuriously relaxing by candlelight, around the pool under bright starlit skies, with other guests or in the privacy of your personal room. In addition we also have some special events planned! 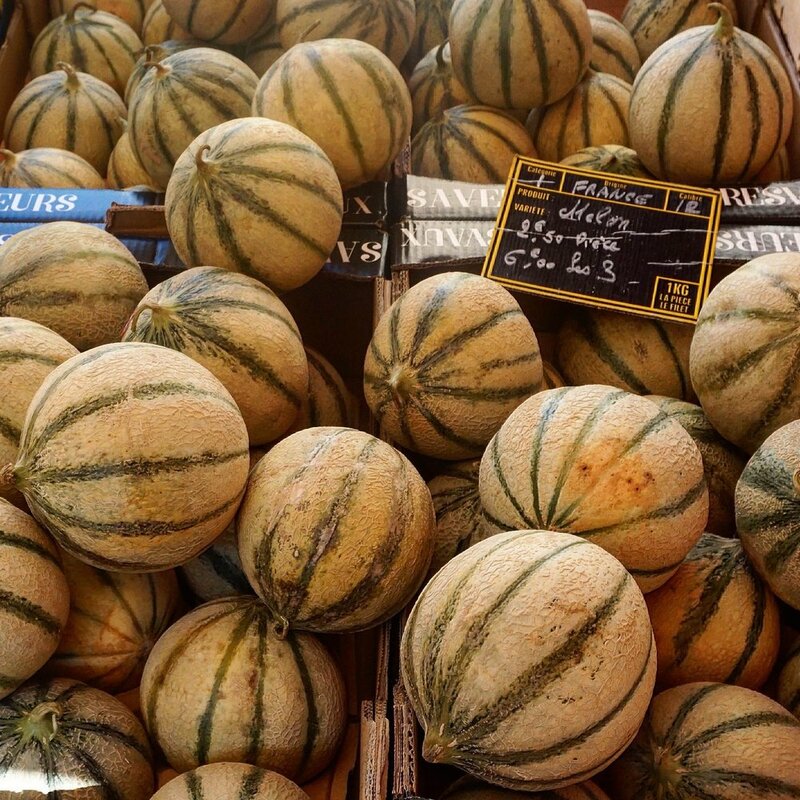 For the culinary gourmets we will hold a cooking class with a true Provençal to learn a local recipe that we will prepare and savor together for dinner. And for the more spiritually adventurous… you will have the opportunity to partake in a one on one sitting with a local Medium. Although we have a lot of activities planned, this retreat is designed to embrace the tranquility of Provence. I am hoping that our guests will also take advantage of the calming environment and thus am planning down time for personal relaxation. All excursions are optional for those who might prefer to lounge by the pool (weather permitting) or simply relax at the villa. We will spend 2-3 hours at each village allowing guests to explore what they chose at their own rhythm. There is peacefulness that pervades Provence, a quietness that inspires and fills you with positivity. Life here takes on a different aura, it engulfs you with its luminescence and grounding energy. You will be surrounded by Mother Nature and by vast historical wealth. The retreat setting will inspire you to slow down, Provence will sway you to embrace the beauty and history surrounding you. There is a reason artists have been flocking to Provence for decades. Nature’s elements are at the center of Provence beauty. The colors of the seasons are intoxicating. Provence radiates a therapeutic softness that instills a sense of calmness as though the world around you has stopped. Spending time here is restorative to every level of the senses with the light, the sounds, the fragrances and the tastes. Provence is an extraordinary place to spend five days graced under her magical spell and immersed in your senses while discovering the Provençal culture and cuisine. It is easy to understand how Provence inspires so many. It is very special, almost ethereal, to stand in the middle of a lavender field, smelling the flowers, listening to the murmur of bees, felling like you are a million miles away…. Presented by Kathleen Obré, an American Expat, who will by your guide sharing her vision of Provence and providing you with a sensory explosion into the history, beauty and traditional food/wine of this special region. Kathleen is an east coast native, growing-up in Vermont and graduating from the University of Vermont. Filled by wanderlust and seeking a fresh start, she ventured to the west coast and settled in the village of Laguna Beach. It is there that Kathleen met her husband and that her love affair with Provence began. They were married in 2011 in the Luberon area of France and Kathleen, who was forever touched by the beauty of her surroundings, left their wedding excursion with the dream to one day live in Provence. After living in Laguna for 10 years and working in corporate professional jobs, Kathleen realized that her heart was not following her path and that her priorities in life needed to be realigned. 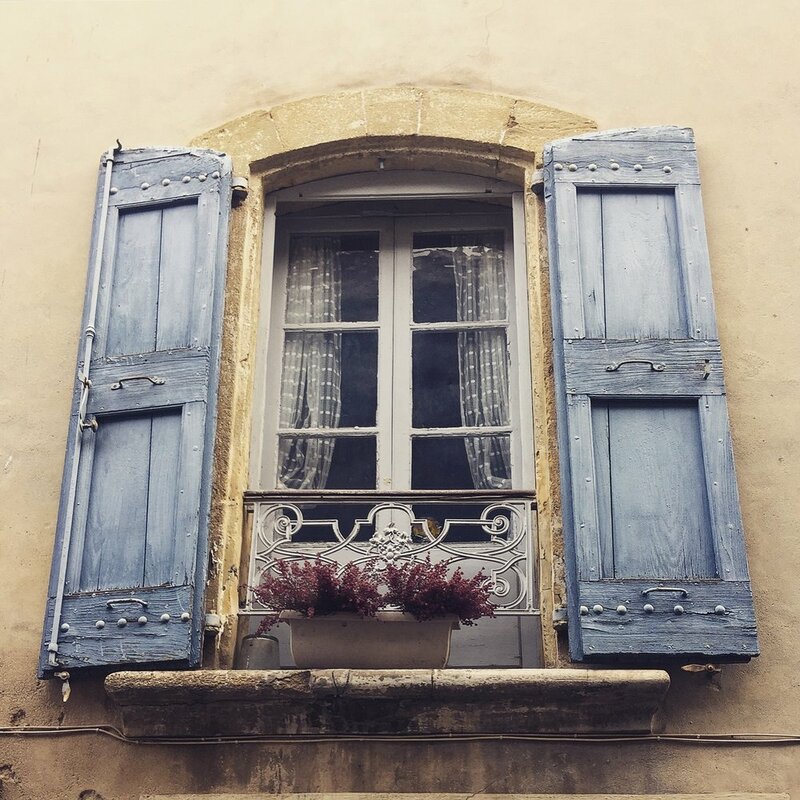 Searching for a more balanced lifestyle, when the opportunity to move to France arose, she and her husband took a life-changing leap of faith, packed their bags and dogs to begin a more soul-filled journey and life anew in Provence. 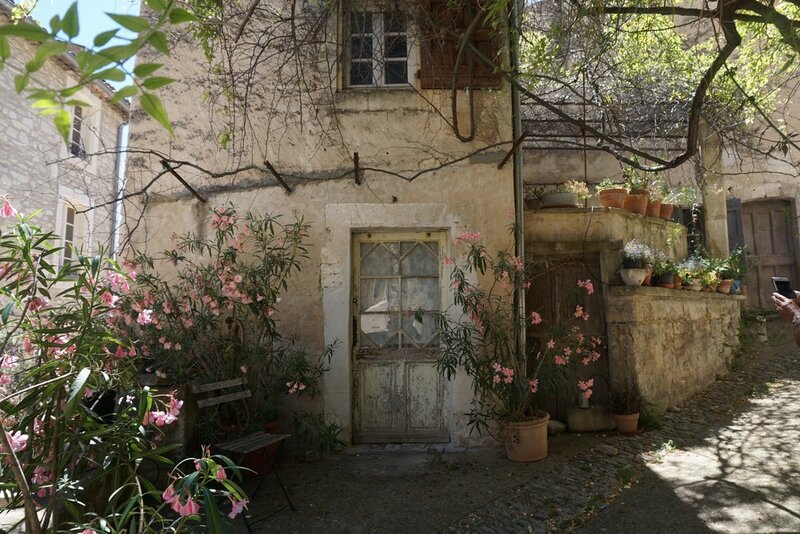 Serendipity works in mysterious ways as Kathleen is now fulfilling her dream of living in Provence, just a stone throw away from the village of her wedding ceremony 6 years earlier. Kathleen is currently building a new shoe label with her husband and Provence vacation tours, while also sharing her Provençal experiences through her blog and photography and nurturing her passion for cooking and baking. When and where: End September - October 2017; Luberon, France. Please contact me via this blog should you have any questions or would like additional information.